Anyone who uses Jira knows about the vast quantity of emails generated by the platform. 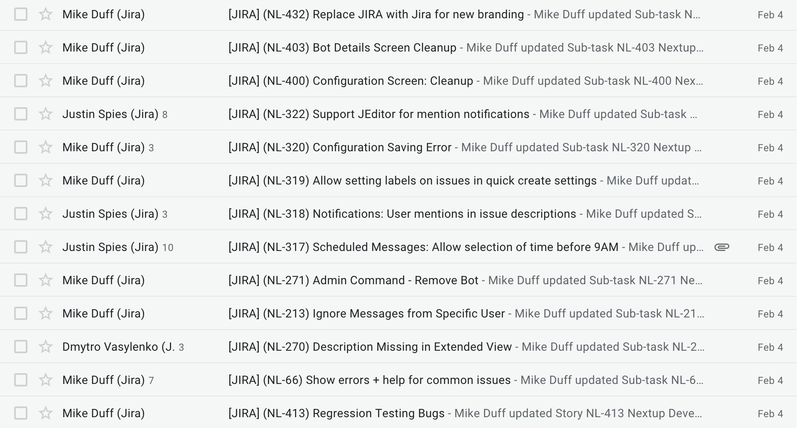 If anyone reading this actually reads all the Jira email messages then kudos to you! If you are like most people then you are familiar with an inbox that looks like thisâ€¦. This is not new informationâ€Šâ€”â€ŠThe most requested fix on Atlassianâ€™s public issues logÂ JRASERVER-1369 Reduce JIRA emailÂ was created inÂ 2003Â and has overÂ 450 comments and 1,500 votes. 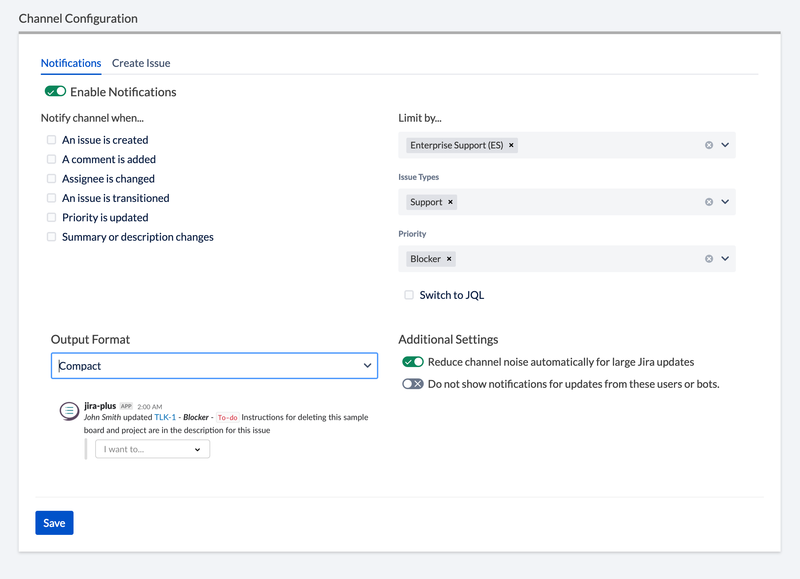 This January (16 years later) Atlassian released email consolidation for Jira Server in version 8.0 and similar updates are coming soon to Jira Cloudâ€Šâ€”â€Šhere is the Atlassian blog on the subject. These changes help reduce email, assuming you still use email and still want to switch context frequently. This the story of how we are bringing smarter notification consolidation for all Jira teams (Cloud, Server and Data Center) in the coming weeks and how we are going do it all in Slack. At Nextup.ai we have been working on integration between Slack and Jira since 2017 and during that time thousands of teams have usedÂ Jira Integration PlusÂ to streamline their workflows and improve their processes. Our product offers a paid alternative to simplistic integrations for teams who want to do more. And at $0.75 user/month does so at an extremely low investment. Last year we released the ability to notify channels when specific things happen in Jira. We allow teams to filter down to the things they care about via our GUI or JQL and we offer a few different output formats and some intelligent chatter reduction features. 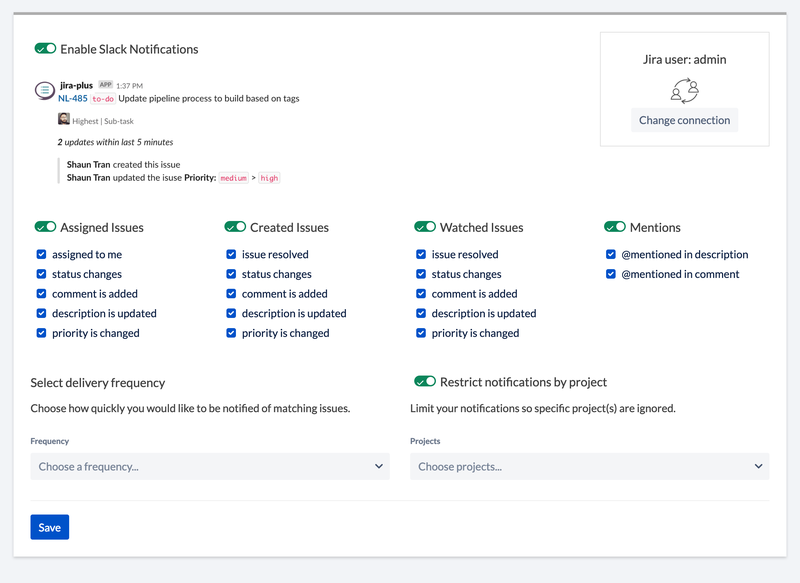 After we added channel based notifications we got a request on ourÂ public product roadmapÂ to create a feature to send private notifications in Slack when users areÂ @mentionedÂ in comments in Jira. The next step taken was to identifyÂ @mentionsÂ in descriptions and customer feedback was clearâ€Šâ€”â€ŠThey loved the ability to get notifications in Slack and wanted us to go further. Our upcoming release takes direct aim at the problem and looks to moveÂ every Jira emailÂ into Slack. Just moving them is not enough, we are taking some cues from Atlassian and â€œbatchingâ€� updates as well. Notifications should be consolidatedâ€Šâ€”â€Šmany Slack messages is similar to too many emails. Messages should provide quick actions in Slackâ€Šâ€”â€Šour customers love that they can respond, assign, transition, etc without having to switch context into Jira. Users should be able to manage their own preferencesâ€Šâ€”â€Šone size fits all doesnâ€™t make sense and administrators donâ€™t want to manage user preferences. Our existing channel functionality should support batchingâ€Šâ€”â€Šwe know from customer feedback, the love of our â€œcompactâ€� view and our own experience that many messages around updates clutters the channel. After months of work, the new version is moving towards launch prior to Atlassian Summit in April. 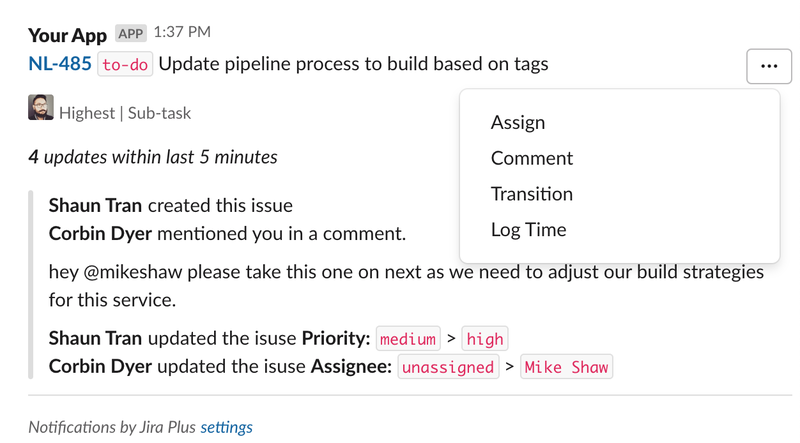 The first step in the process is connecting a Slack user to a Jira user to ensure the correct person gets a notification when things change. Itâ€™s simple to complete and 60,000 users have already completed the setup in our current version. Once the relationship is created the user is now taken to a screen where they set their notification preferences. The notifications are broken down into easy to understand categories and mirror the notification schemas in Jira. The difference here is each user decides when they want to be notified, not an administrator. Created issues are the ones that I create, either directly from Slack with the Jira Integration Plus bot or in Jira and watched issues are ones that I have indicated I care about. Mention settings alert me when users add my name to the issue description or a comment (our currently supported notifications). I also have the option to not get notified for specific projects. I may for example not care about tickets I create in my team project but want to keep an eye on all my devops tickets. As noted before, just moving a million emails to Slack messages isnâ€™t fixing the issueâ€Šâ€”â€Šwe knew we wanted toÂ reduce chatter and consolidate messages. Now that the user has set up their notification preferences and chosen the frequency of update the notifications will start to appear. We now useÂ Slack block kitÂ to improve message formatting as well. Updates are consolidated into a single message with clear indications of what has changed and simple actions to keep you moving. These changes will also be applied to public and private channel configurations to allow batching and consolidated updates for channels in addition to personal notifications. In beta testing our customers haveÂ LOVEDÂ the new notifications functionality and we are working to tweak and test the new release for our cloud customers and shortly after for ourÂ self hosted on-premise teams. Current teams can look for a notification in the coming weeks when we roll out the new version. In the meantime, your feedback, comments, and questions are welcomed below. Feel free to check out everything else Jira Integration+ does via ourÂ free 30-day trial. Thanks for reading! Get ready for a clean inbox! The bot integration company. Follow hear to learn about our journey and tactics we are using to scale.